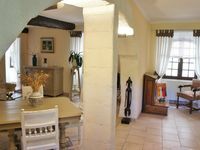 Property 2: Chic Appart-Villa 2/3ps located at Doors of Avignon a haven of Peace near shops! Property 10: APARTMENT FOR FESTIVAL NEAR AVIGNON, A CORNER OF PARADISE! Air-conditioned apartment, 200m from the village, shops, quiet, shady. Property 34: Air-conditioned apartment, 200m from the village, shops, quiet, shady.